Good news for all those who keep on sending us emails, messages and DMs about the best auto repair around them. Ok, well maybe good news only for the Kuwaiti readers. SuperCar Guru is bringing you a review, unlike the rest. It is not a car review this time. It is rather a review of some awesome people that will make you forget your long, stressful and tiring time that you have had when having to change a tire or oil in your car. Having to roll up your sleeve and get under your car on the highway will no longer exist because Crew is here to make your life much easier. Well, Crew is a Kuwait based company. Basically, they are a car service and repair center that comes to you instead of you going to them. We are all busy in our own ways and it is always a headache to take our car to a service center for an oil or tire change. The worst, when our car broke on the highway and we do not know what to do anymore. Sometimes, the car is not even starting and we have to find a tow truck to bring it to a car service but not anymore. Crew makes the life of people much easier, just a phone call and they come to your desired location. Crew is basically a life-saver for car owners. Wherever you are, they will come to you. Moreover, they will work according to your schedule, meaning that you decide when you want them to come so that there is no inconvenience in your schedule. You should not cancel your important meeting because you have to take your car to the service center. This is few of the many advantages that you get when you choose a mobile garage over the typical one. Just phone Crew and give them all the details about your problem and they will fix it for you at your chosen time. Interesting...So what type of services do they offer? 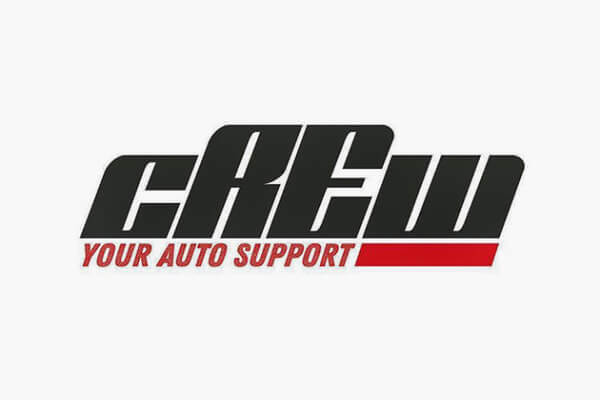 Crew offers a bunch of car services and all of them at your location. Let's take a look at the services available. Tire Change - Crew will come and change your car's tires wherever you are. The best part, you can capture and send your tire size and they will instantly provide you with the best prices from various brands that they offer. Easy and simple, right? Also, you are sure to get the best price so there is no way you are overspending on your car's tires. 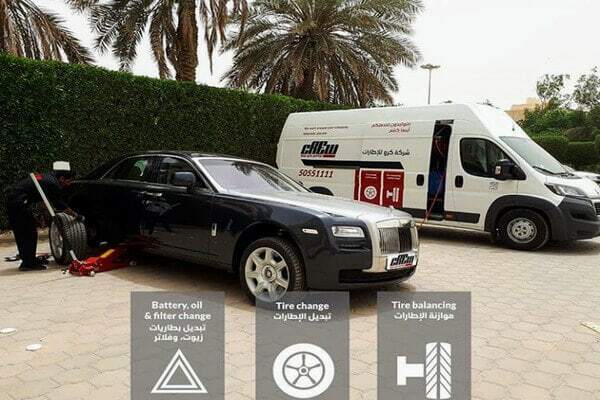 Tire balancing - Ok so Crew has already replaced your tires and you want to balance them to make sure everything is good or simply you keep on experiencing vibrations whenever you are driving. 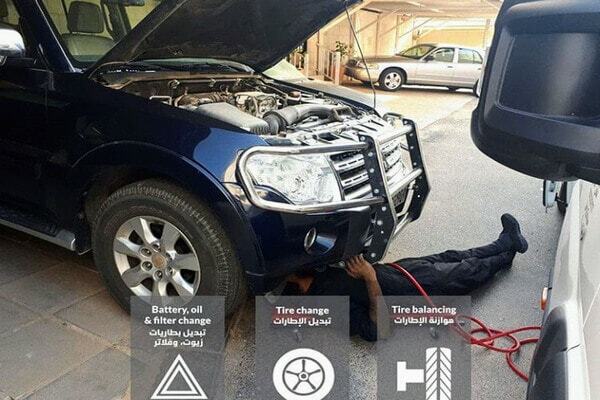 Again Crew makes it easy for you as they offer wheel balancing too at your location. How cool is that? Tire Repair - That's an inevitable truth. Our tires often get damaged or punctured and it is always an issue to find someone to repair it and that too wherever you are. Crew will come and repair your tires for you wherever you are and whenever you want. You can be careless with your car now and enjoy life as Crew is here. Battery Change - Crew will also change your battery and makes sure everything is running properly. You don't have to worry about anything as Crew will take care of your car. They will bring the battery and change it too at your preferred location. Oil & Filter Change - Quality oil will ensure better performance. It is recommended to check and change your oil quite regularly to ensure that your vehicle is well-maintained. Crew will change your oil and filter at your doorstep. Whether you are at home or office, Crew, being a mobile garage, will always give you peace of mind. For which type of cars they offer these amazing services? Crew offers all of their services to all types of car. No matter what the brand is or if you have built your car in your garage, they can service and repair any types of cars, SUVs or pickup trucks. Crew will make sure that your safety and satisfaction is guaranteed. In Kuwait, due to the hot weather, the lifespan of a new is about two to three years. Once the tire has done two years, ask a professional to inspect them. Even if the tire seems good, as a precaution, it is advised to replace them. This also applies to spare tires. Take a good look at your tires. If you notice that the thread is worn out and the tire is even to the touch, then it is time to get new tires. If you are not sure, better contact a professional. Also, when you are driving the car, if you experience a rough ride or vibrations, it may be high time to consider replacing your tires. If you take proper care of your vehicle and tires, this can increase their lifetime. Checking and maintaining correct air pressure, doing regular tire rotations and vehicle servicing are a few of the ways. Ok, I need Crew for my car...How do I contact them? Crew makes everything easy and simple for you. If you need or interested in getting your car serviced by Crew. They are a call away. You just have to give them a call and all the required details and that's it, you are done. Below are their contact details. Make sure to drop them a follow to know about offers and services that Crew is offering. Also, they often give car advice so you might as well benefit from these. If you like our article on the Best Auto Service & Repair In Kuwait, please share it on any social platform of your choice. It really helps us to keep creating awesome contents for you. Also, if you have questions, tips, recommendation or anything else, feel free to write it down in the comments section and we will try our best to reply to all of them. Don't forget to subscribe to our newsletter for hot supercar related news and also to be the first one to know when we upload a new blog. Their services looks awesome, will definitely want them to become my auto support. Thanks SuperCar Guru for sharing! Welcome Aly! Crew is definitely trustworthy! There are lots of mechanics are available in the marketplace who are providing the car repairing services but not giving you the better car repairing services and you will face issues in your car after getting repaired your car, but when you come to the mobile car repair dallas then you will not face any more problem n your car after one time repairing. Just saying thanks will not just be sufficient, for the fantasti c lucidity in your writing. I will instantly grab your rss feed to stay informed of any updates. Do you want to change your car tyres? Are you looking to buy car tyres bangalore? Well, TyresNmore is a leading destination for buying tyres online in India with doorstep delivery and tyre fitting service. We have the leading tyre brands at the most competitive price. Keeping utmost customer convenience in mind, Tyresnmore has been designed in a way to make browsing, selecting, buying and fitting tyres seem like an easy task for every owner. With Tyresnmore, customers can save time, money and efforts, providing the best tyres.